This Twin size bookcase headboard offers a variety of shelf sizes for storing books and personal items, and features a centralized cord port hole for wire management. 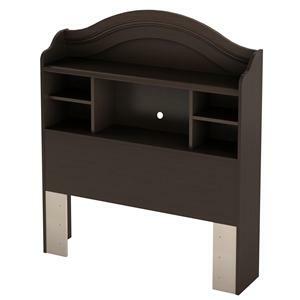 The bookcase features an arched top with subtle moulding and a rich, Chocolate finish. For a complete Twin size bed, order this headboard in combination with the Twin Mate's Bed (3219080). 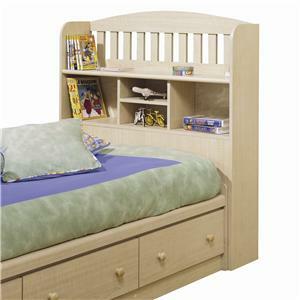 This bookcase headboard features a natural maple finish, creating an easy cool in your child's bedroom. Open shelves allow your kid to store bedtime novels, pictures, and even an alarm clock conveniently close to their bed. 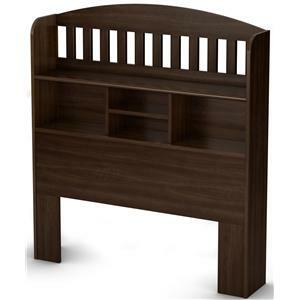 This headboard can be attached to the mates bed to create a complete bookcase bed. This enchanting bedroom dresser and mirror set offers one vertical compartment and three spacious drawers to accommodate your daughter's storage needs. Jeweled chrome metal hardware provide sparkle against a Pure White case finish for a charming, feminine touch. You will find a single adjustable shelf located behind the vertical door, and a shallow display shelf along the base of the mirror frame sized just right for perfume, makeup and nail polish. A rectangular frame with an arched top design makes this mirror a welcomed addition to your child's bedroom. 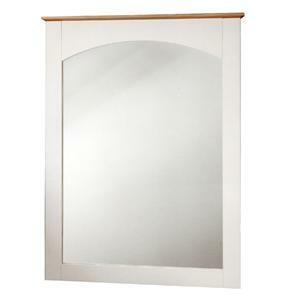 This mirror features a white finish with a natural maple top accent. This two-tone mirror will give your daughter the perfect place to play dress up and get ready for school. Feature this trundle drawer beneath your daughter's bed in preparation for sleepovers in her youth, and for using as a storage drawer as she grows older. The trundle features a Pure White finish and bejeweled chrome hardware for easy pull-out access. This trundle was designed to be paired with the Complete Twin Bed from the same collection (3650A3). This six drawer dresser is perfect for your son or daughter's youth bedroom set. 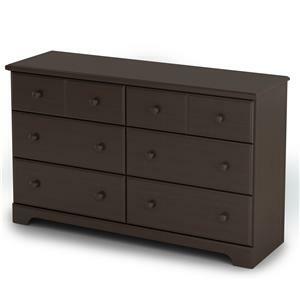 The dresser offers six closed drawers with profiled drawer front edges, Smart Glide slides with stops and built-in dampers, wooden knob hardware and a grooved top drawer for the illusion of two smaller drawers where there is one large, all in a rich Chocolate finish. 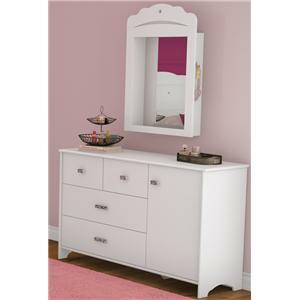 For a complete dressing station, pair this dresser with the dresser mirror from the same collection (3219120). 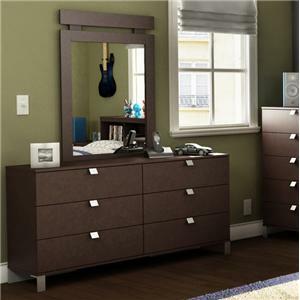 With its rich chocolate finish and sleek contemporary lines, this spacious dresser and mirror set will enhance any bedroom. The dressing chest features six practical drawers for clothing storage and is equipped with satin nickel-finished metal handles for a modern aesthetic. Matching metal front legs keep this dresser looking modern and unique while the overall piece creates a stunning accent to your bedroom. 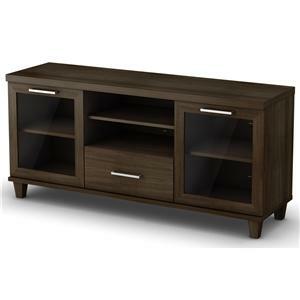 With clean, crisp lines and simple style, this television stand is sure to blend into almost any living room decor. The piece carries a dark roast coffee finish and features several holes in the back panel, which allow for easy wire management. Plus, the three shelves and one lower drawer are wonderful for keeping DVDs, CDs, video games, cords and various media players. You're bound to be pleased with this television stand in your home. 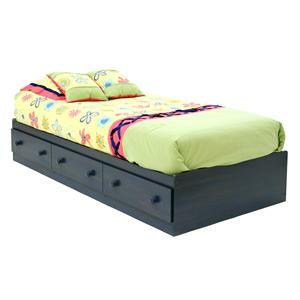 Add style and storage to your youth's bedroom with the captain's bed from the Summer Breeze collection. Crafted to encourage organization, this captain's bed offers three spacious under-bed storage drawers for your child to fill with dollies and dinosaurs, or any other items that may need a place to be tidily tucked away. 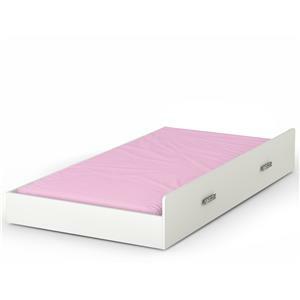 Sleek and clean in style, the captain's bed is a piece your child can grow with, and not out of.